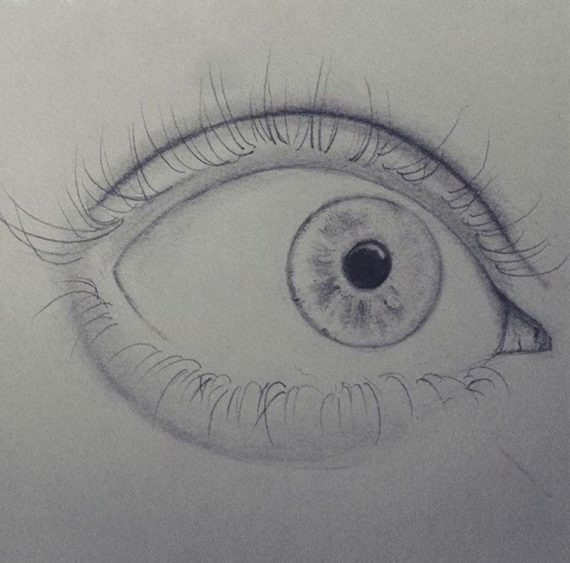 This was one of the first eye sketch studies I did using pencil into sketchbook. I got the idea and copied the idea from the internet because I felt the internet was convenient at the time. I am rather pleased with how this sketch turned out as it has minimal detail but I am happy with the proportioning of the image. My drawings are my self portraits, I work from my own personal emotion and my life experience and I project that through drawings and photography, however my recent practice has taken a different direction and I'm now focusing on the concept of identity, and creating a story behind the image.